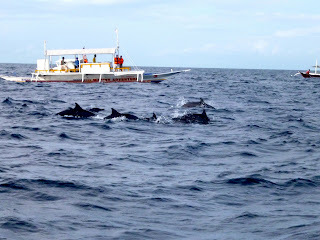 This post is long overdue - I took a family vacation last month to the wonderful province of Bohol, Philippines. 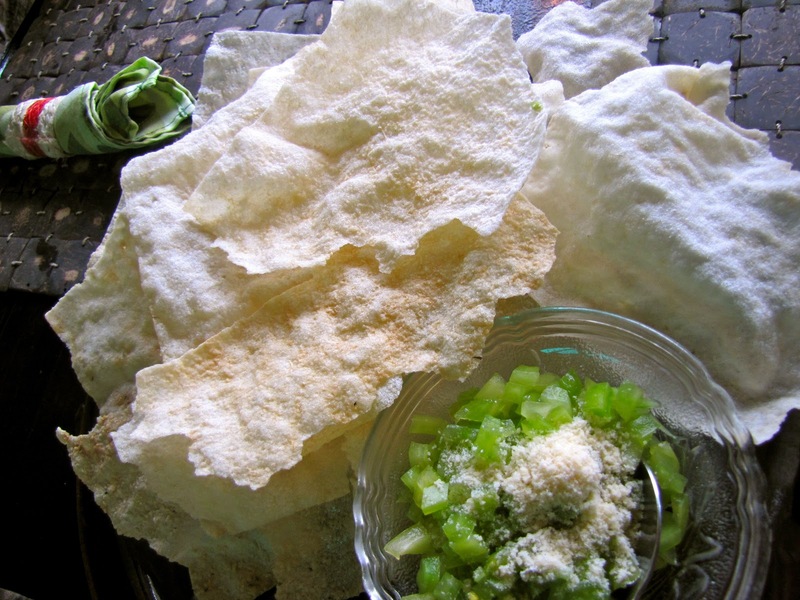 Apart from the usual tour of the beach and natural wonders of the island, I did not forget my favorite hobby - food! 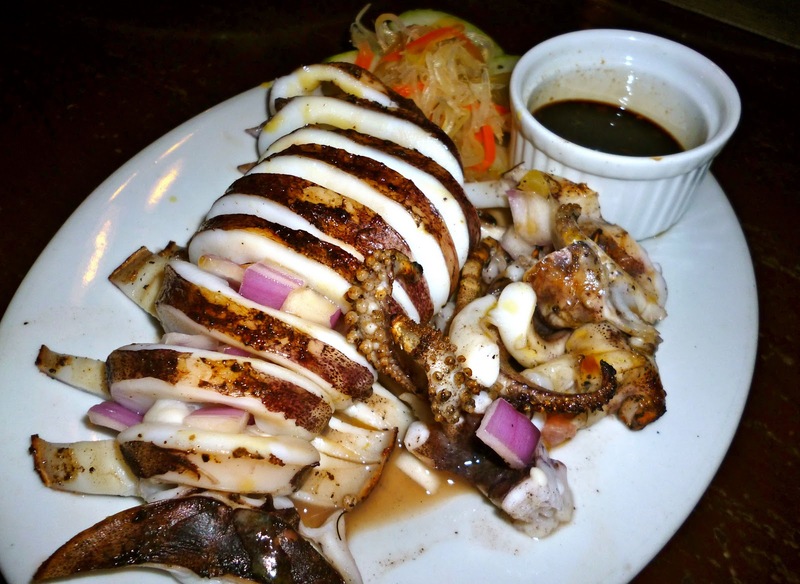 We were in Bohol for 4 days and had some interesting food finds around the area. 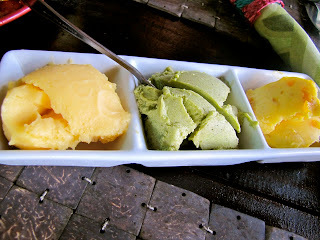 We mostly ate in different resorts and below is a recap of our food finds. This came well recommended by several friends who have been to Bohol previously. The Bohol Bee Farm specializes in natural and organic food. The place has a very nice rustic feel. We enjoyed our meals here and ended up eating here in 2 separate occasions during our stay. They first serve you with complimentary Squash Bread served with 3 different types of spreads- Honey with Cheese, Pesto, and Mango spread. 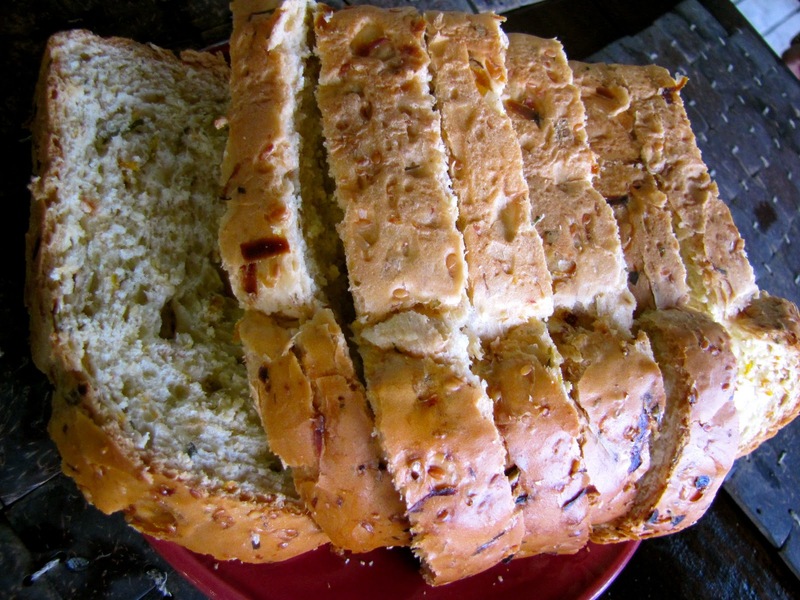 Each was sweetened with honey to get that perfect salty-sweet combination. My favorite was the Honey with Cheese and ended up purchasing a bottle for my to take back home to Singapore. 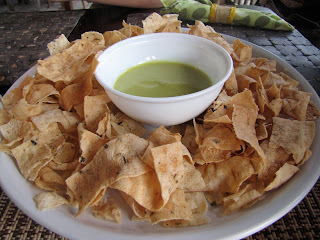 For appetizers, we had the Vegetarian Chips (Php 160 or SGD 4.70) as well as the Cabcab with Pesto and Green Tomatoes (Php 120 or SGS 3.55). The Vegetarian chips with pesto dip were surprisingly good. The chips were lightly seasoned but were very addictive. 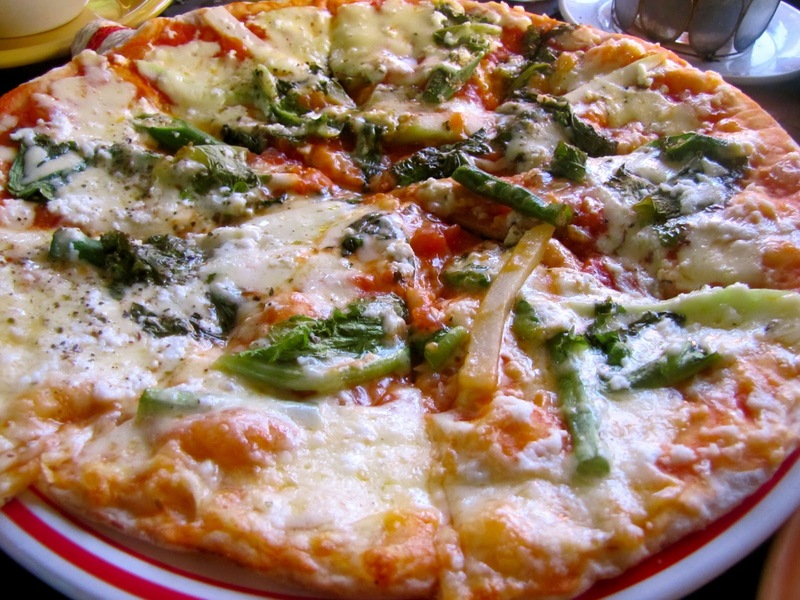 The cabcab on the other hand was completely tasteless and the green pesto did nothing to add flavor to it. For greens, we had the Fresh Tomato with Arugula salad (Php 380 or SGD 11.20). 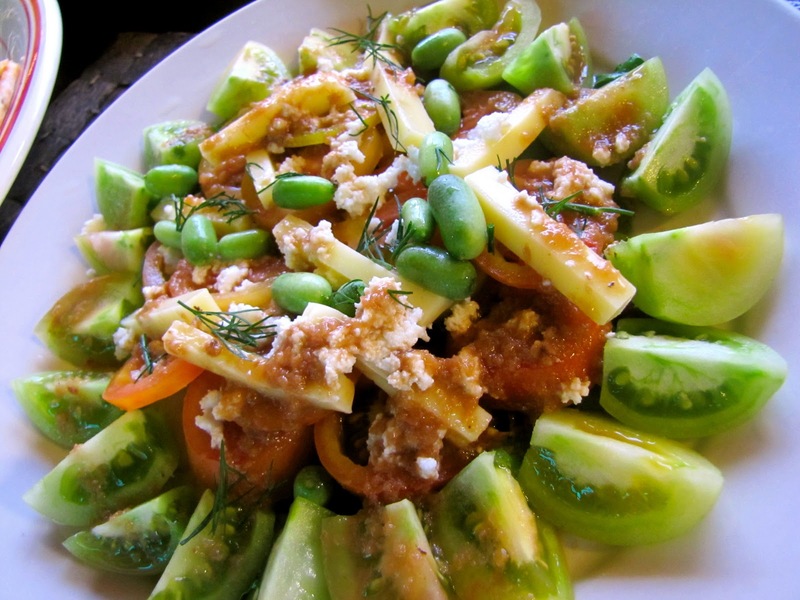 Honestly there were too much tomatoes and such minuscule serving of arugula. I did not enjoy this at all and thought it was too pricey for a bunch of chopped tomatoes. For mains, we tried out the Fresh Herb Pasta (Php 190 or SGD 5.60). 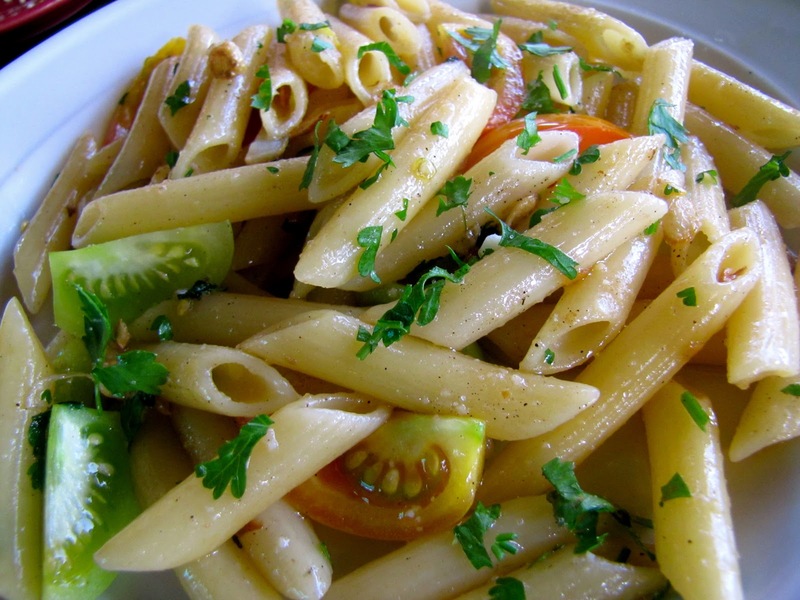 The penne was perfectly al dente and the pasa sauce was refreshingly light. Very nicely executed. The next pasta we tried was the Seafood Pasta with Coconut Milk (Php 280 or SGD 8.26). 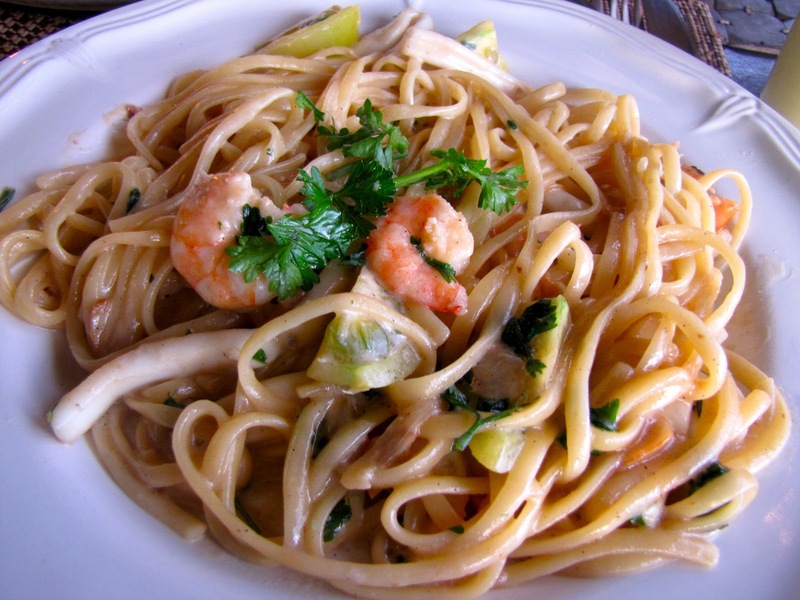 I have never tasted coconut milk on pasta, but this was a nice touch and I really enjoyed the overall flavor. 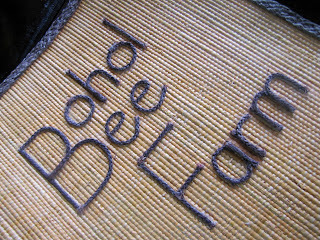 Bohol Bee farm also serves pizzas. We had the Vegetarian Pizza (Php 280 or SGD 8.26). This was nothing great to be honest. The crust was a little soggy and the flavor was nothing note worthy. The pastas were definitely a much better choice. 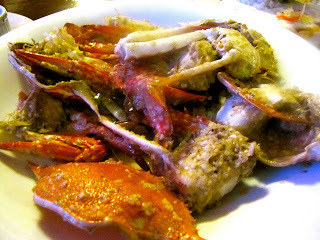 We also tried out the Steamed Crabs with Garlic (Php 380 or SGD 11.20). 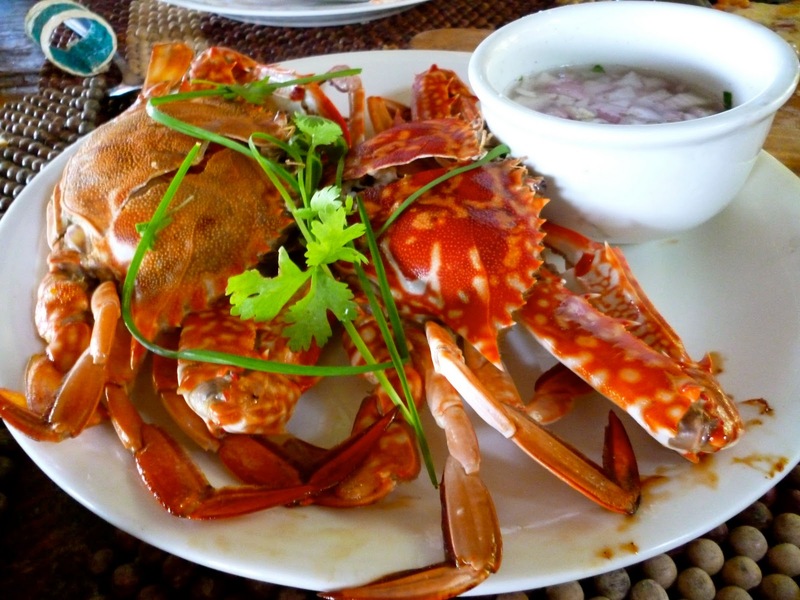 Overall a very pleasing and light seasoning to the crab. I thought the crabs lacked a little bit of meat. Lastly, we also tried out the Honey Glazed Chicken (Php 160 or SGD 4.70). The chicken was alright - tasted that of a regular honey roasted chicken. However I really did enjoy the brown rice which was surprisingly soft. The garden salad looked beautiful with the edible flowers and went really well with the honey mustard dressing that was served. 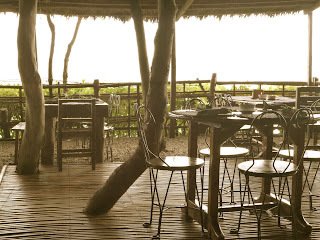 One of our favorite places to eat in Bohol was in Dumuluan Beach Resort. 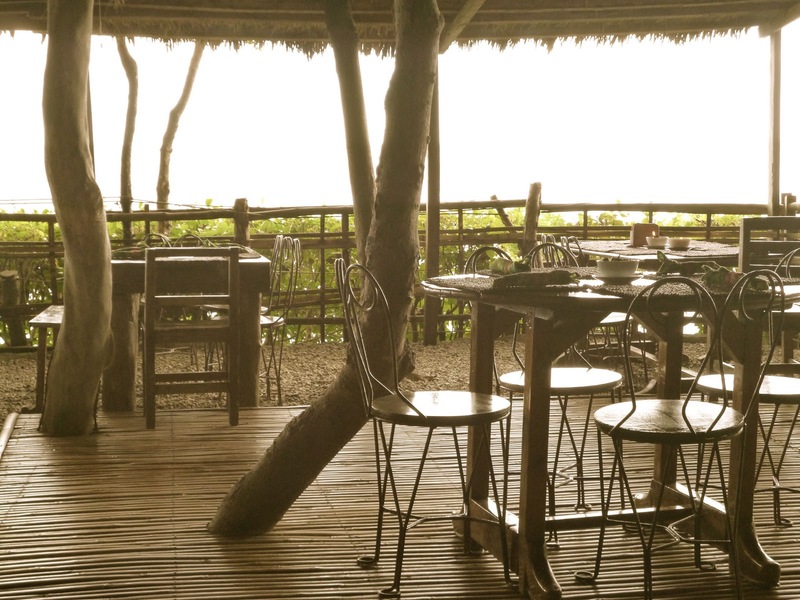 The place does not have much of an ambience save for the view of the beach. However their selection of barbecue dishes was impressive. You get to choose your meat from their mini wet market and have them cook it fresh. Overall everything we ordered was amazing. I definitely recommend this place for very good grilled dishes and other Filipino food. I was not able to take down the price as I lost the receipt somewhere along the way. The food is very affordable as best I could remember, and you pay per kilogram of marinated meat you purchase. 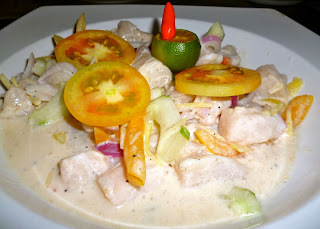 We had the Kinilaw which is similar to French ceviche where you cook fish in vinegar. In this case, mackerel (or tanguige in Filipino) was used and coconut milk was used to add more flavor. Really enjoyed this rendition of kinilaw. My favorite was also the Grilled Prawns which were gigantic and oh so juicy. The Grilled Squid was also extremely enjoyable. And I love the sweet soy sauce marinade used that just complemented the squid perfectly. My ultimate favorite is the Inihaw na Liempo or Grilled Pork. The marinade was absolutely delicious. I could taste a hint of steak sauce in the marinade which made the pork incredibly tasty. I could not get enough of this and ordered this for dinner twice. 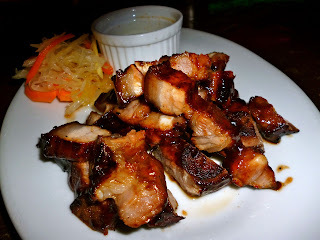 A must try for barbecue and pork lovers! Of course no beach food trip is complete without crabs. And so we ordered the Crabs in Butter and Garlic. The sauce was delectable, though I thought the crabs were not as meaty and jam packed as I had hoped. I guess crabs are not their specialty. 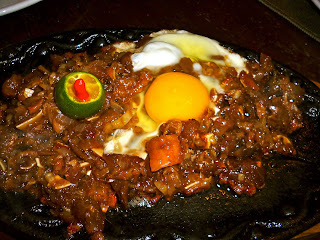 Last of our dinner orders was the Sisig which is sizzling pork bits. This sisig was served with an egg in the middle which cooked on its own in the sizzling hot plate. The overall flavor was good, but I normally like my sisig very crispy so this was just alright for me. 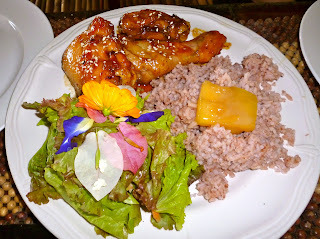 We really enjoyed our food in Dumuluan Beach Resort. I enjoyed it so much that I found myself coming back for breakfast the next day. I had the Twice-Cooked Pork Adobo (Php 140 or SGD 4.12) for breakfast. Adobo is a Filipino traditional way of boiling meat in vinegar and soy sauce. 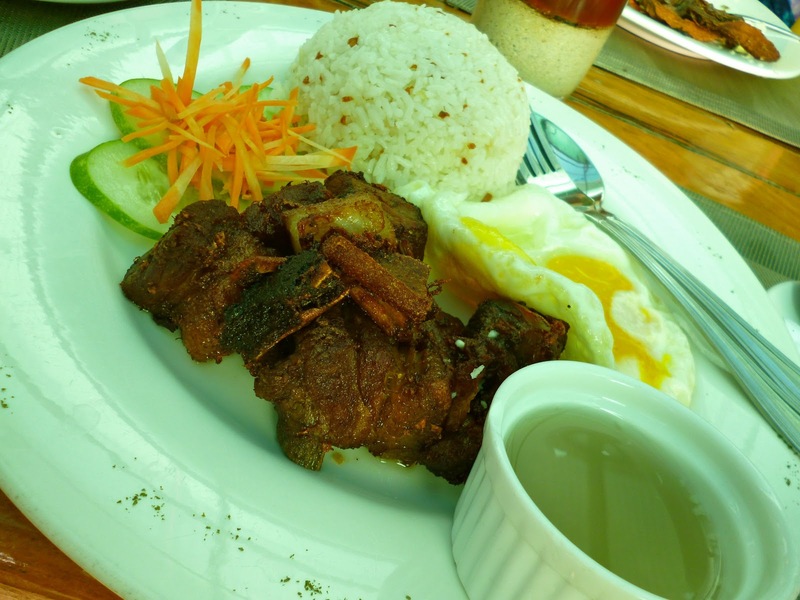 In this case, this meat was cooked adobo-style and then deep fried to get an extra crisp. Definitely a fave! 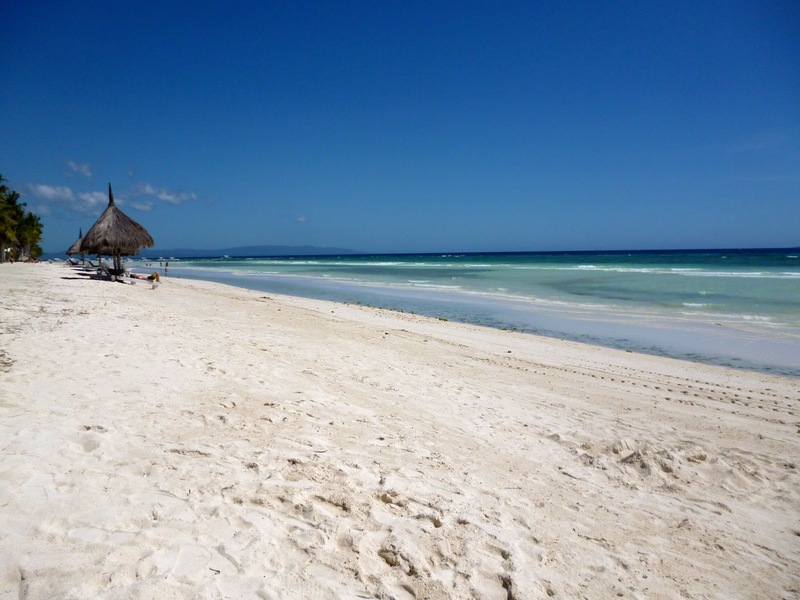 Bohol Beach Club arguably has the best beach front amongst the other resorts around Bohol. 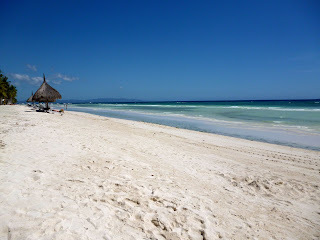 We stayed here for our trip and really enjoyed how beautiful the expansive beach front was. 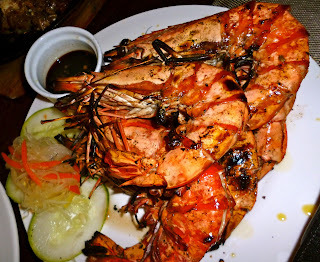 However my only complaint with Bohol Beach club was the food. Perhaps out of everything we ordered, only the Roast Pork Belly was worth writing about. Rest of the food was mediocre bordering bad. The pork belly however had a beautifully crispy skin which hit the spot for me. The pickled veggies were not bad either but I thought the peanut sauce on the side was a little odd. 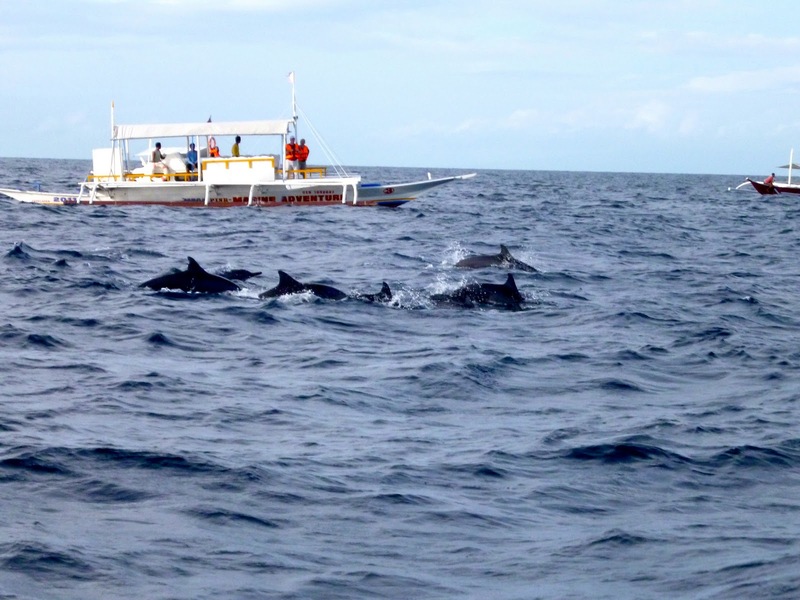 Bohol is a beautiful place with a lot of activities to choose from such as swimming, snorkeling, dolphin watching, view of the chocolate hills, witness endangered species such as the tarsier (world's smallest monkey), and much more. You can click on the links I've posted above of the different resorts for more information if you'd like to plan a trip for yourself. 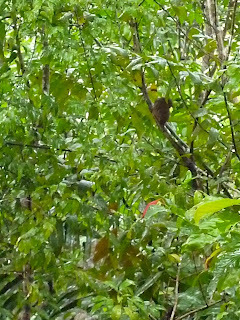 I leave you now with some photos of the different places we went to during our holiday. I became nostalgic about our family vacation and started craving for the delicious food at Bohol bee farm and Dumaluan Beach. Let's plan another getaway. Yes we should! 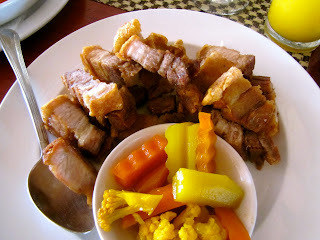 I miss the Inihaw na Liempo at Dumuluan Beach Resort. Hey Amanda, thanks for dropping by. 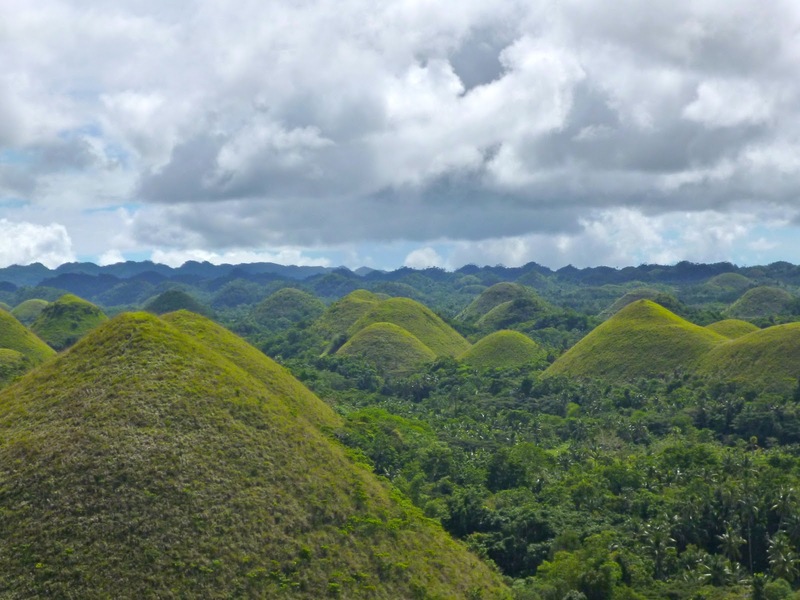 Hope you find yourself in Bohol one of these days. It really is a lovely place. I love all the foods. The place was so very stunning. I love Bohol! I love that little island with a big heart! 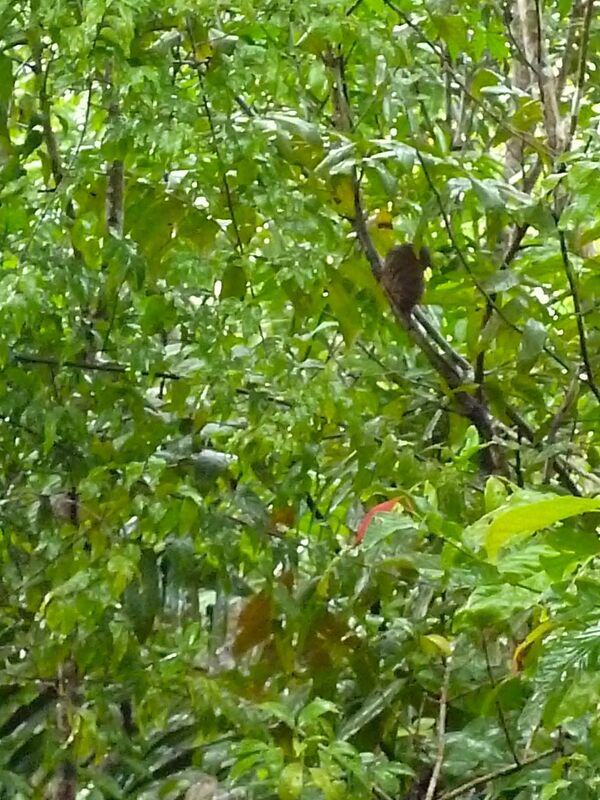 My beautiful Boholana wife took me to several places like Man made forest, to see the Tarsiers, Chocolate Hills, etc, etc. If there was any place in the Filipinas, Bohol would be the place I would live! 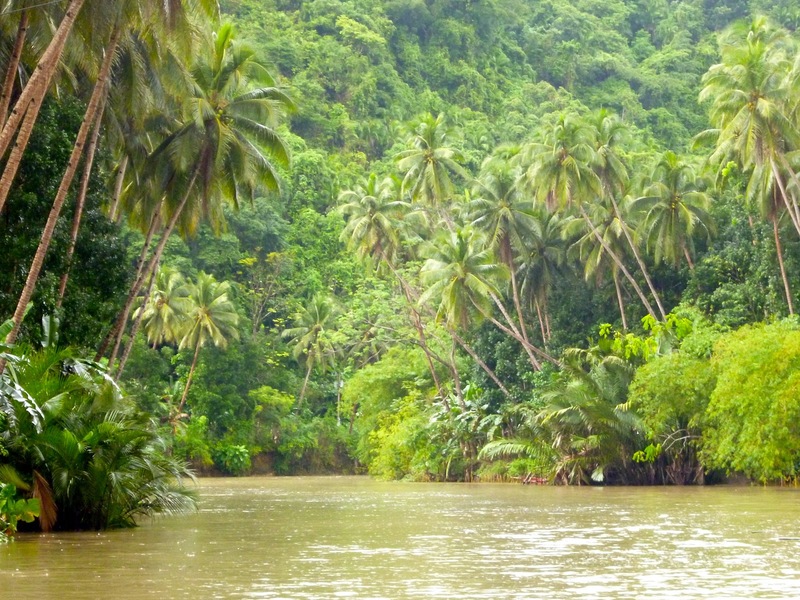 God Bless Bohol and its people.